But we have some good news too! Faster hair growth is indeed possible. And it can be achieved naturally without investing large amounts of time or money, and without risking damage to your hair. Your hair consists of keratin, a protein-laden amino acid that has been found to boost hair growth. This means the less protein you consume, the less keratin your body creates. Up your daily protein intake and you’ll speed up hair growth. Prenatal vitamins contain biotin, iron and folic acid in a larger amount than traditional vitamins. These minerals are linked to faster hair growth and stronger hair. 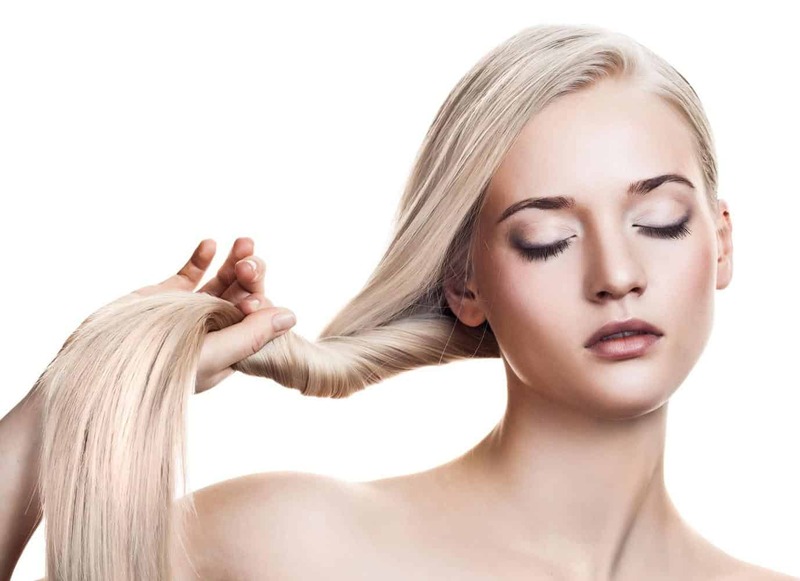 Cysteine is another amino acid that some researches believe can help grow hair faster. It is an anti-oxidant found in protein-rich foods.. Following a high-protein diet will naturally increase cysteine intake. It is also found in certain wheat products, including granola, oat bran, and couscous. Washing your hair daily does more damage than good. The ingredients in shampoos strip the hair of natural oils, which can slow hair growth. Washing every other day should be a good starting point. While the trim itself doesn’t make hair grow faster, it prevents split-ends and breaks, both of which can sabotage hair growth and decrease your hair’s appearance. Aim for a trim every six-to-eight weeks and you would see the result. Yes, you read that right. Flipping your hair over your head and letting it hang for a short period of time each day can speed up hair growth. Doing it for 3-5 minutes each day increases blood flow to your hair, which brings additional nutrients and oxygen that promote hair growth. Stress has been found to disrupt your hair’s natural growth cycle. And the more stress you have, the slower the rate of growth. Effective ways to lower your stress levels include meditation, more sleep, and deep breathing. Brushes are our best friends, but when our hair is wet, the wide-toothed comb needs to come out. Thicker brushes can damage and break wet hair, while wide-toothed comes are much gentler. Pay attention to the protection of your hair at all times. Avoid heat as much as possible. Gently run your hands through it. Avoid playing with it. The better the condition of your hair, the faster it will grow. Hot oil treatments are very effective at boosting hair growth. Castor oil and coconut oil are frequently acknowledged as the best options. The vitamins and minerals found in egg whites have long been linked to faster hair growth. Just make sure you remove the yolks first. Herbal treatments can be used as rinses for hair to help stimulate hair growth. Rosemary is a favorite among users due to its inherent ability to stimulate hair follicles. Aloe Vera helps remove excess sebum, a substance secreted by hair glands that is linked to slower hair growth. It also helps increase blood circulation. Onion juice is rich in sulfur and stimulates hair follicles to promote faster hair growth. 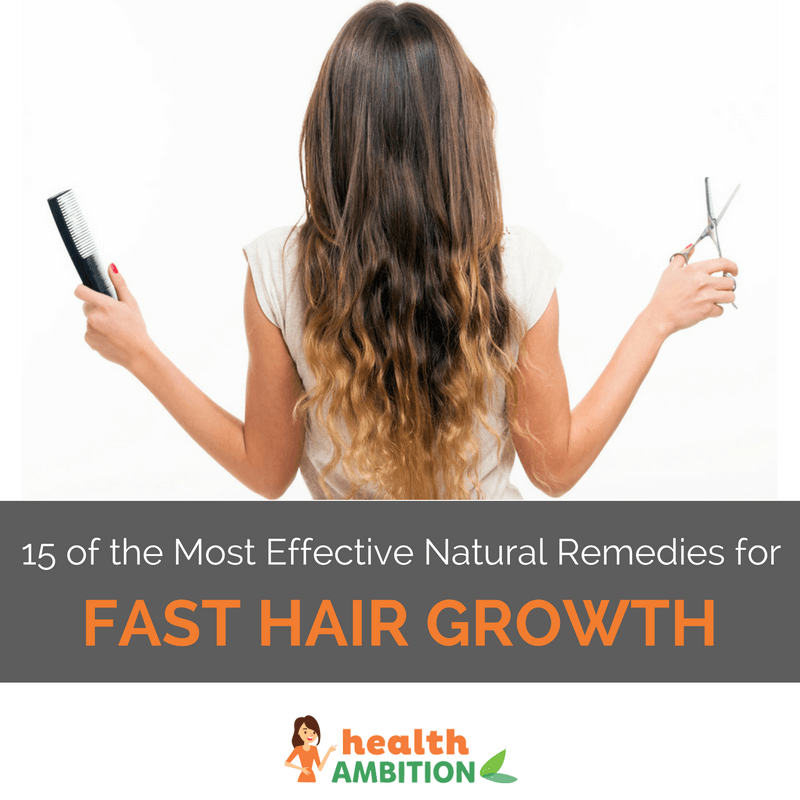 Apple cider vinegar does a couple of important things to promote faster hair growth. First one, it naturally stimulates hair follicles. Two, it maintains a balanced pH level in your hair, which is important for stripping away build-up from styling products and preventing additional damage. While not an actual hair treatment, exercise is a very powerful contributor to faster hair growth. It significantly increases blood flow throughout the body, thus delivering more oxygen and nutrients – both of which deliver growth-boosting “good stuff” to your hair’s roots. What Are the Best Hair Vitamins for Black Hair Growth in 2019? For fast hair growth products I recommend using groveda hair solutions. They have a hair growth serum, shampoo and conditioner. My hair grows an extra half inch a month and is very healthy and shiny. Hair held in any tight, pulling hair style (such as tight pony tails or braids) will weaken the hair at the roots and shaft, causing the hair strands to break off or worse pulling the hair at the roots causing bald spots. Any tight pulling hair styles are a huge no-no and they oblivious defeat the purpose of growing hair. I have used nuhairrx serum. It really worked. My hair reduces less and grows more. I can see new short hair on my head. Another great trick is GHE (Green House Effect) and bagging. They certainly helped me grow five inches of hair in 8 months. I do two ways. The first way… I would oil my hair thoroughly (using Wild Growth Hair Oil), but not saturated. I then put the hair ends at a loose bun style and wrap a bag around the ends (this is bagging). Then after, bag the whole head (GHE/ green house effect). I’m cheap so I use those plastic bags given and used in supermarkets. I would then leave this on overnight (during weekends) and use a head cap for the rest of the day (weekends only). After 48 hrs I wash my oily head with a cheap conditioner, either from VO5 conditioner or Suave Naturals conditioner (I love the rain forest version). These cheap conditioners add moisture while remove oil treatments like a shampoo. I then wash out the stuff and redo the conditioner wash, but massage on (head is upside down) for 1-2 minutes and wash out again. Finally I add a deep conditioner to the whole hair strands, focusing on the ends, and leave it on for 15 – 20 minutes. Wash that out and finally add a leave in strengthener from Profectiv. This had prevented my bleached out damaged hair ends from breaking off and from receiving a super chop. The second way is a quick oil treatment that can be done on weekdays. I would saturate the hair with Wild Growth Hair Oil or African Pride Olive Oil Growth Oil or Profectiv Mega Growth Growth Oil (my favorite, love the smell it leaves). I then style the hair ends in a loose bun wrapped in a plastic bag and then cover the whole head with another plastic bag, making sure the whole head of hair was covered thoroughly. I wait three to four hours. I do house chores or painting or surfing the internet or something else in the meanwhile. After the 3-4 hours I wash the oil out using either a cheap conditioner (VO5 or Suave are fine, but any conditioner that lathers will do) or Profectiv stimulating shampoo. After washing the oil out, I would then add a deep conditioner (my favorite are Profectiv Mega Growth and L’Oreal Total Repair Extreme Recovery Mask) and leave that on for 10-20 minutes, depending how long I stay in the shower to take my bath. I then wash the deep conditioner out. Of course I squeeze out the excessive water, before wrapping the hair in a towel. I then take the towel off and while the hair is drying out I add Profectiv Mega Growth Leave-In Strengthener. This strengthener stuff is amazing. It really thickens the ends. I noticed a huge change in the way my hair grows and feels since I use Profectiv Mega Growth products. My system is Growth oil, stimulating shampoo, deep conditioner and leave-in strengthener. I don’t style my hair. I leave it loose, allowing the hair strands and roots to breathe. further strengthen the hair strands, promoting better hair growth. Healthy hair is growing hair. Another trick I do is that once a month for seven days I do the inversion technique for 3-5 minutes for each day. I don’t do it every month though, but three to four months of the year I do use this technique for a quick hair growth. Some months I notice 2 inches of new growth. Not just growth on the hair strands I already have, but I also notice newly grown hair strands. These are the things I do to grow stronger, healthier, faster growing hair. I hope my techniques or methods further assist anyone who wants to grow new hair strands or speed growth to already existing hair strands. and falls out. What should i do to regrow hair?